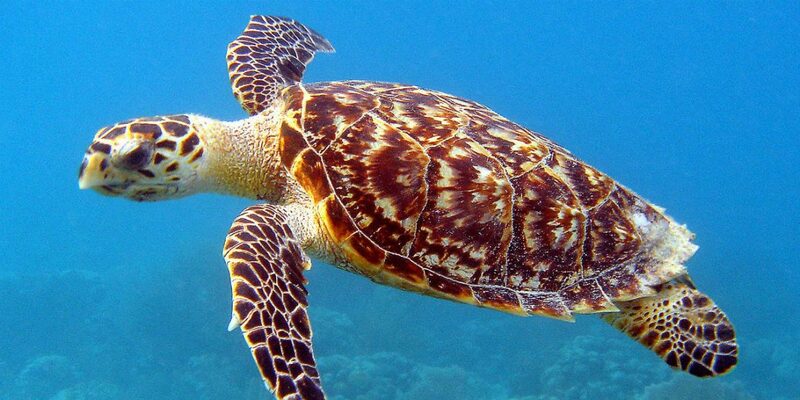 Colombia’s environment ministry is set to order the partial closure of popular “Playa Blanca” near tourism hotspot Cartagena in an attempt to preserve the threatened Hawksbill sea turtle. The resolution, expected to be ratified in coming days, will see the northern zone of the idyllic strip of beach along the Caribbean’s Baru island closed for up to seven months as a “preventative measure” for the endangered sea turtle. Vice-minister of the Ministry of Tourism, Sandra Howard, applauded the initiative that will see the suspension of tourist activities on the beach take effect from May 10 to November 30 to guarantee the nesting period of the turtle. “We really believe that it is an area that has an enormous natural wealth, it is a site that has been traditionally used by turtles for laying eggs and it is necessary that together we adopt the necessary measures for their preservation,” said Howard. The environmental crisis was triggered by the April 2014 introduction of a bridge that connects nearby tourist hub Cartagena with the small island. Despite the adverse environmental effects, residents who live on the beach say the ruling will cripple the local economy, arguing their livelihoods depend on tourism. “We live on tourism, on beaches, how are we going to live so long without working? Seven months is too long, we are going to go bankrupt,” a beach merchant told Caracol Radio. Corals, grasses and mangroves are also in danger in the 3.4 kilometre strip of coastline overrun by restaurants, bars and hostels.